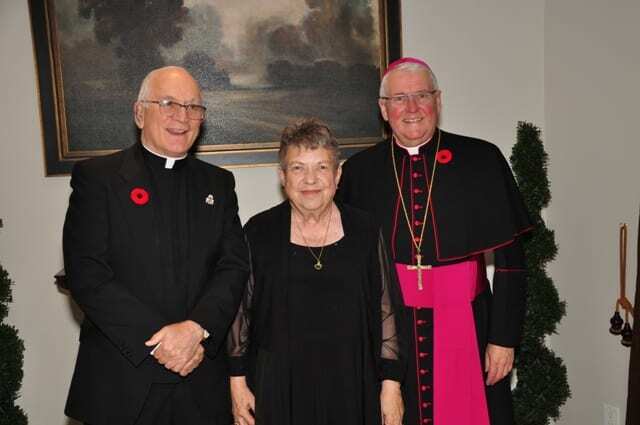 Thank you to Bishop Crosby for once again sharing the evening with us, and for his support of students in need each year. Thank you so much to everyone who supported of the evening. Attendees, sponsors, donors, volunteers – have all made a direct impact on helping low-income students to succeed in school – thank you! Many people have shared what a lovely time they had re-connecting with friends and colleagues. You helped to raise over $22,000, which brings the 8 year total for the evening to over $165,000 – well done and congratulations. “HCCEF was able to assist us, as it does with many families, who experience those unexpected “out of the blue” challenges such as job loss, housing crisis, or in our case, medical emergencies. Having said that, the Foundation also reaches out to lower income families who struggle to meet the basic necessities of life (food and clothing) and are able to support children to participate in all aspects of school life, such as field trips. Mark Wednesday November 6, 2019 on your calendar for the 9th Annual HCCEF Evening with Bishop Crosby.